Microsoft executives last week came the closest yet to saying that the company will release Office on iPads and Android tablets, but stopped short of promising anything specific or setting a timetable. "We are working on touch-first versions for our core apps in the Office suite, Outlook, Word, Excel, PowerPoint, and we will bring these apps to Windows devices, and also to other devices in ways that meets our customers' needs, and the customer value of those experiences, and in ways that economically make sense for Microsoft, and at a proper timetable," said Qi Lu on Thursday in a heavily-qualified answer during the company's financial analysts meeting, a half-day event where Microsoft spoke to Wall Street analysts. Lu heads Microsoft's new Applications and Services Group, which is responsible for Office. Others chimed in, too, including CEO Steve Ballmer, who recently announced he would retire once the company selects a new chief executive. After a Wells Fargo analyst questioned Microsoft's current strategy -- which is to favor Windows by offering Office only on tablets running that OS -- and encouraged the company to "let your apps free and run cross-platform," Ballmer visibly bristled. "You said something that was actually the opposite of what I said," Ballmer told the analyst. "What I'm telling you is we're going to integrate our services with our devices, [but] we'll also make our services available on other people's devices, both to the consumer and to the enterprise." Office, though not strictly a service -- at least in the way that, say, Bing search is -- has been touted by Microsoft as just that because of its software-as-a-service (SasS) Office 365. Later in the same answer, Ballmer seemed to get more specific about Microsoft's plans for Office. "Now, how do we get our services to be popular on non-Windows devices? With the enterprise we kind of know how to do that. You walk into the enterprise, you say sign up for Office 365, you say we're going to embrace your iPads and your iPhones, and blah-de, blah-de, blah," Ballmer said. "We know how to do that. We know how to get paid. Life feels pretty straightforward." No one on Microsoft's executive team, however, said straight out that Office will be available on iPads and Android tablets, or when that would happen. But some pundits interpreted the remarks as confirmation, more or less, of a long-rumored -- but not yet realized -- move by Microsoft to offer its leading money maker, Office, on rivals' hardware. So, what exactly did Microsoft say? One analyst said it was a trial balloon, and little more. "Microsoft likes to test ideas and messages to see what people think," said Patrick Moorhead, principal analyst with Moor Insights & Strategy. "Actually, that's pretty smart. But I do feel like that they were just testing the boundaries of what people think [about such a move]." Moorhead interpreted the Microsoft executives' comments as less a commitment, more as a let's-see-what-the-Street-thinks moment because he believes the company has not yet made up its mind whether to offer Office on iOS and Android. "They want to test the success around Windows 8.1 and accelerating PC sales," said Moorhead of the update slated to ship Oct. 18 and Microsoft's hope that PC sales pick up -- as they historically do -- in the last three months of the year. "They want to see how [Windows 8.1] does on 10-in. and 8-in. tablets." If Windows 8.1 and a slew of new Windows hardware from Microsoft itself -- more touch-enabled notebooks and a broader array of tablets that includes refreshed Surface devices -- sell better than they have, Microsoft may hesitate to offer Office on iOS and Android, figuring it should keep Office exclusive to Windows a bit longer. But if sales don't match the projections Microsoft has settled on internally, it would pull the trigger on Office for the iPad, Moorhead said. "Does having Office on Windows 8.1 incent buyers to buy a Windows machine over an iPad or Android tablet?" asked Moorhead rhetorically. "If not, I would expect them to rapidly move to put a more robust Office on iPads and Android tablets, because they wouldn't be losing anything at that point." Michael Silver, an analyst at Gartner, also said Microsoft may want another win-one-for-the-Gipper shot with the Office and Windows tag team. "It's all about Windows 8 and Windows 8.1 and tablets to them," said Silver of Microsoft's strategic decision to allow Office only on Windows tablets. "The right time may have been a couple of years ago [to change that thinking], but I can see them thinking 'Let's give Windows tablets one more chance.'" Microsoft certainly won't put Windows and non-Windows devices on a level playing field, Office-wise. Ballmer made that very clear. "The truth of the matter is, our devices carry our services, and our services will be available on a number of people's devices. And I think the order is important," said Baller [emphasis added]. In other words, Microsoft's devices will always offer the company's services before they're on rivals' hardware. In that way, for all the talk of expanding service footprints -- Office's, for instance -- to Android and iOS, Microsoft will not deviate from a strategy that puts Windows first. Some analysts have long criticized that attitude as short-sighted and playing to the company's weaknesses. They continued to do so after the talk last week of other platforms. "The real question is still whether the Office division, which doesn't really exist anymore, is in business to sell Office or in business to sell Windows," said Silver. At times, he said, it seems neither, and pointed to the after-the-fact promise to produce a touch-ready Office for Windows 8.1 tablets and touch-enabled notebooks. "[Touch Office] is coming much later than they should have done to make Metro a success last year," said Silver, referring to the "Modern" user interface within Windows, called "Metro" until mid-2012 when Microsoft dropped it under pressure from a German retailer who holds that trademark. "And there's been a pretty attractive market [for a touch-enabled Office] for a long time. Had they done this well before now, [Office] might have been able to get through." 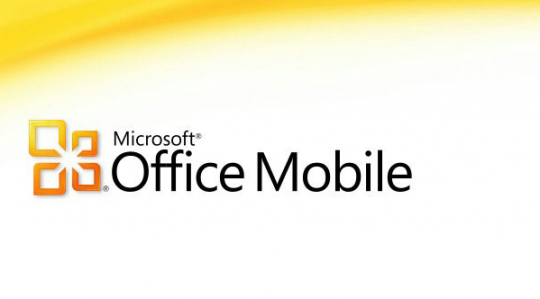 Most outsiders have pointed out that the longer Microsoft waits to port Office to the two most popular mobile platforms, Android and iOS, the more it risks losing that market to alternatives, ranging from Google's Quickoffice to Apple's iWork. Recently, however, there's been pushback by other analysts, who see Microsoft's hold on the enterprise productivity market as, if not invincible then at the very least much less vulnerable than its less lucrative consumer and small business sales of Office. In fact, both Moorhead and Silver agreed that Office in the enterprise isn't going anywhere any time soon. Moorhead, for example, believes that Microsoft can still carve out a tablet business in corporations thanks to its Office franchise. "Android and iPad are not an unassailable threat in the enterprise today," he said. "I believe [Microsoft's] answer, and what HP and Dell are doing in tablets, are going to minimize the threat." Microsoft uses well-worn arguments to good effect, Moorhead said, by pointing out Android's shaky security history and the difficulty of managing, provisioning and deploying non-Windows devices within enterprises. Silver agreed. "Enterprises would still like a manageable platform," he said. "And the limitations of alternate products has maintained an appetite for Windows versions." Even so, there are trends that should give Microsoft pause, Silver counseled. The consumerization of IT, and the bring-your-own-device model that represents that trend, could unseat Microsoft. "The problem is that knowledge workers now have more power about what devices they use," noted Silver. Microsoft has to prove to them, as consumers, that it supports its services and software on non-Windows platforms. "As Microsoft tries to sell Office 365 to enterprises, ...if it can't run on the most popular platforms, that could have a negative impact on their ability to sell," Silver added. Microsoft's executives realize that they have fewer tools and procedures to sell to consumers, or the business workers who behave like consumers. "...It's a lot trickier to have a high-popularity service with the consumer," Ballmer said last week. And from the comments made last week, Microsoft "gets it" on mobile: Several, including Ballmer, acknowledged they're way behind in mobile. Not surprisingly, they countered with promises to do better, to be smarter. "We don't have our heads in the sand," said Ballmer during his part of the presentation to Wall Street. "We are working away on all the things you think we should be working away on. We're building the things that you would have us build. [And] we have surprisingly less religion than you would think we probably have." But until Microsoft commits Office -- and other parts of its vast empire -- to iOS and Android -- and provides a timetable -- the questions will continue. "Looking through the lens of offense and defense, Microsoft is pretty comfortable playing defense in the enterprise," said Moorhead. "And it's playing off that with offense in consumer. But it may not go as quickly as everyone wants."